babiwa@ series 8 simcards extension mobile device for batch receiving or delivery of sms text message . Support switching different simcards on the fly . The mobilephone provided . support multi-language. convenient for batch text message receiving and delivery. 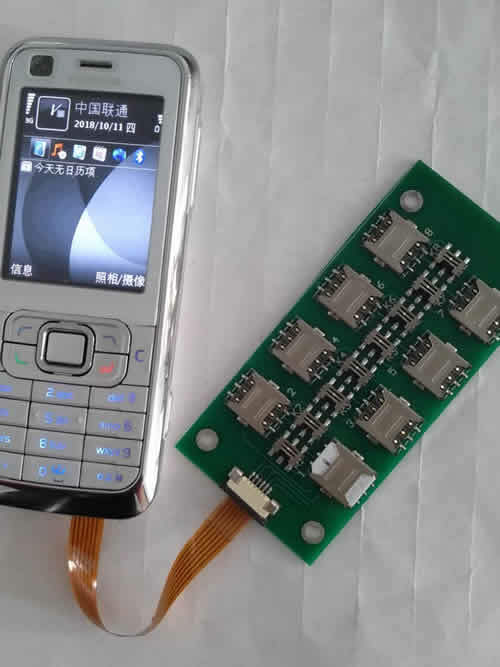 The mobilephone Supports Universal GSM and WCDMA network,support 2G and 3G network. and 4G simcard will be running on 2G or 3G mode . How to use: External 8 x Mini-simcard Female holder(also can hold 8x microsimcard and 8x nanosimcard).easy instruction ,changing simcards on the fly. welcome to contact us for instruction video after your order. Notify me of updates to babiwa@ series 8 simcards extension mobile device for batch receiving or delivery of sms text message . mobilephone provided .Support switching different simcards on the fly . universally standarded Device for Online Marketing and Bulk Advertising as batch sms message delivery ,batch text message receiving,bulk call sms marketing,other bulk mobilephone advertising etc.International shipping.